Spread mustard on a whole wheat tortilla, then top with slices of Jarlsberg cheese and ham. 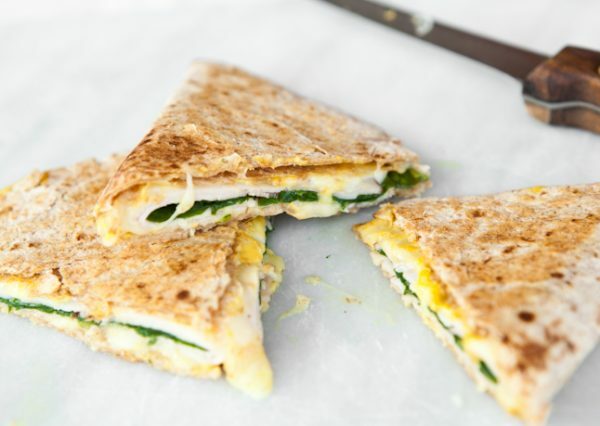 Add a layer of baby spinach leaves, then fold to enclose and cook on a Panini press or in a hot skillet until the tortilla is golden and the cheese melts. Let cool slightly, then cut into wedges before packing.